Nigeria Professional Football League produced all sorts of results in matchday 5 games played across the country on Sunday. While Lobi Stars were celebrating the big win over Kwara United, Kada City and Wikki Tourists were condemned to home defeats by FC IfeanyiUbah and Sunshine Stars respectively. FC IfeanyiUbah stretched their unbeaten run as they recorded a lone goal victory over newly promoted side Kada City at Kaduna Township stadium. Chibuike Eze found the back of the net in the 62nd minute and it was enough to give the Anambra warriors the maximum points. 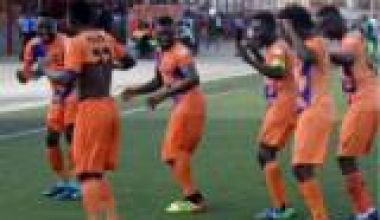 Elsewhere, Sunshine Stars made up for their dropped points against Rivers United as they went to Bauchi to beat Wikk Tourists 1-0 at the Abubakar Tafawa Balewa. Chibundu Amah got the only goal from the penalty spot in the 80th minute. In Markurdi, there was a lot to savour as Lobi Stars thrashed Kwara United 3-0. Yaya Kone got a brace and Michael Stephen added one as the ‘Pride of Benue’ romped to one of the biggest wins so far this season in the NPFL. In Osogbo, Remo Stars made the most of their new home ground and they secured maximum points; beating Katsina United 2-0. Victor Mbaoma and Kingsley Akemini got the goals that gave sky blues boys their first three points of the season. 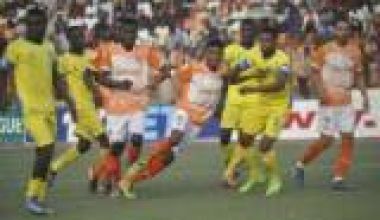 In the Oriental derby, Ranger emerged victorious as they got a slim 1-0 win over Enyimba. Similar results were recorded in the games between Rivers United and MFM FC as well as Yobe Stars and Heartland FC.